EPL REVIEW : HOW DOES THE CURRENT TOP 3 TEAMS LOOK ON PRIMARY ANALYSIS. It's going to be Gameweek 5 of the premier league when the league resumes after the international break. In the race for glory, we can already see that some teams have taken the early leads. Let's Analyse the top 3 teams of the Premier League. So here how the Top Half of the table Stack up after Game week 4. So as we can see Liverpool are the early leaders of the pack with a full 12 and a goal difference of 8. They are closely followed by Chelsea and Watford who are also on 12 points but lag behind by Goal Difference of 7 and 6 respectively. The big surprise in this times Top 6 is the absence of Manchester United and Arsenal. For Arsenal, I can understand they are going through a lot of changes. The team has got a new coach almost after 20 years. The coach is very new to the style of Premier League will surely take some time to adjust to the league and try and find out their best 11. As for ManU they have just been poor. They lost to Brighton & Hove Albion(A) a team ranked 14th on the table. I think for ManU has spent a lot of money on transfer budget and still aren't able to perform. With Zinedine Zidane currently free, I hope Jose gets the boot sooner before any more damage is done to the team. Liverpool for me are the Title Favourites this time. Klopp has worked a lot hard on his team in the Off Season. They have brought in some very good and talented players into the team in the summer. I think this time around they have a very good and complete squad. They have a lot of options in each department. Their bench strength will be enough for them to see through the rigors of UCL as usual league football. 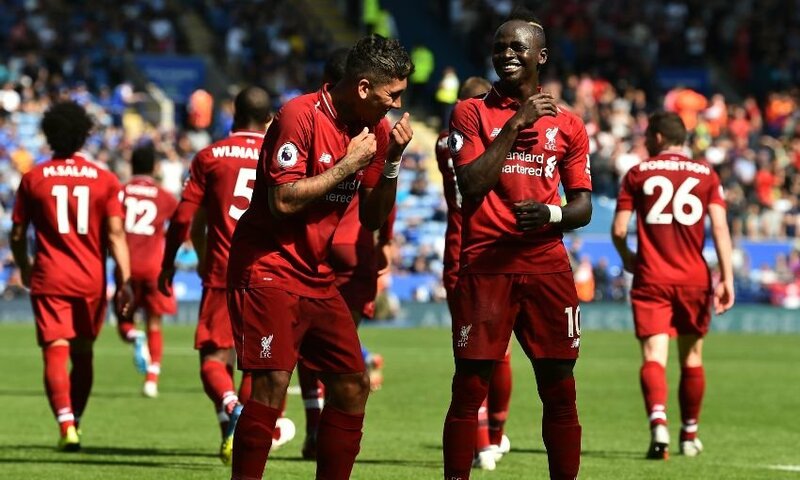 Mo Salah, Sadio Mane and Roberto Firmino are currently the deadliest striking trio around the world. Shaqiri and Sturridge of the Bench can be very effective of the bench. Weakness:- I would have loved to see another center back purchased in the summer. I would love to see how Joe Gomez performs against teams in the Top half of the table. Two clean sheets in 4 matches and Chelsea have started live very good under new manager Maurizio Sarri. They did a great job in the summer by holding on Hazard and Willian. Although can't say the same about the transfer of Thibaut Courtois. Although they did bring in Kepa but the whole transfer was a hard pill for me to swallow. The incoming Jorginho has looked excellent in all the matches he has played so far. Andreas Christensen should get more game time as he is a very talented prospect. There will be matches when Chelsea's Central defensive will falter sooner rather than later. I hope the fans and the Board give Sarri proper time to work his way through. Weakness:- Everybody knows it, the goal scoring department of Chelsea has a lot of work to do and they try and take some burden of Hazards Shoulders. Batshuayi would have been a good utility player for the squad in this department. The unlikeliest of teams to be in the TOP 3. But Javi Garcia's team is playing like a well oiled machine. The formation of 4-2-2-2 is hard for people to understand and breakdown. most people didn't except such a tactic in the premier league. But as it stands they have got 100% record after first for weeks. Even after losing Richalison to Everton I didn't expect the team to be playing so confident football. They have made their set-piece delivery a very lethal weapon. Troy Deeney, Etienne Capoue, Roberto Pereyra and Abdoulaye Doucoure are very good in the attacking department. They have pace skill and physicality to unsettle any defense. Weakness:- I am less than convinced by their defense. I would love to see how they play when they have to deal with pacy wingers. Any Review about premier league would be incomplete without the mention of two of the most Exciting teams of the Premier League currently. Manchester City and Wolverhampton Wanderers. Yes, you read that right the wolves, their style of play this season has been very attractive. Despite being a newly promoted side they have shown the desire and confidence to stay in the Top flight. The match against Man City was a treat to the eyes. Although Man City should have won the match as the Goal scored by the wolves was a handball which no referee in the world would have been able to detect. But the desire and willingness of the team to run in, get the ball and put ManCity in shackles was just treat to the eyes. They have a very exciting team would be making a strong case to finish in the top half of the table. As for Man City, they were just unlucky to draw the game and lose their 100% record to wolves. They still are the team to watch out for in the Premier League. Pep Guardiola has once again presented us with a well-drilled team. Any slip from the teams in the Top 3 and Pep's Boys will be ready to latch on to it. Bench strength, tactics, Experience, Youth you name it and Man City have got it. I guess it will be a long hard fight for the Premier League Glory this time. So, Stay Tuned and keep watching Football.